At their fabulous Etsy shop aptly named, Getting Weddy, you'll find Holly and PJ's handcrafted wares for sale which include these eye pleasing diamond mason jar sconces. 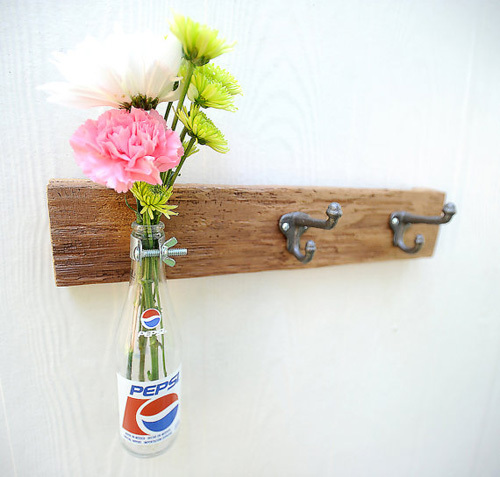 Each is made from weathered and reclaimed wood fence picket. 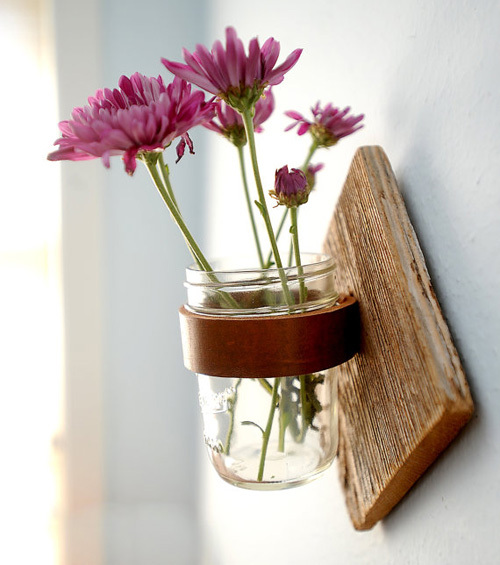 I have a rustic wall sconce of theirs just outside my front door that I refresh with flowers often. I have to say, it is hands down one of my favorite home decor items I own. You may remember reading about PJ and Holly before as I featured their original line of rustic mason jar sconces. 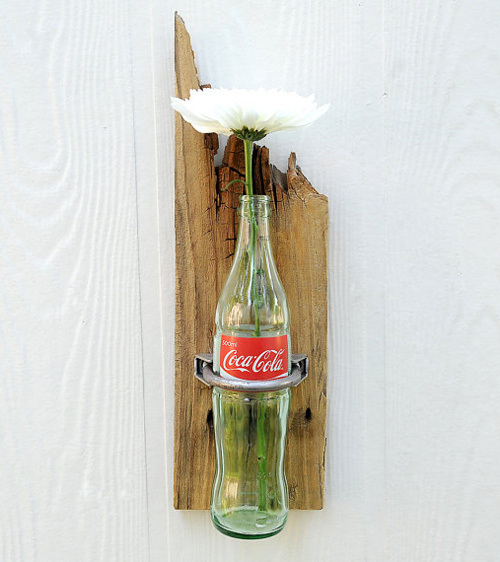 I like seeing what they've been up to in the meantime, which includes this Coca Cola bottle sconce, perfect for your freshly cut flowers. And living in Atlanta, Coca Cola is certainly synonymous with life in the South. And once you stumble upon a good thing, it's fun to expand on it a bit. Find Holly and PJ's bottle sconce and hook wall organizers here. 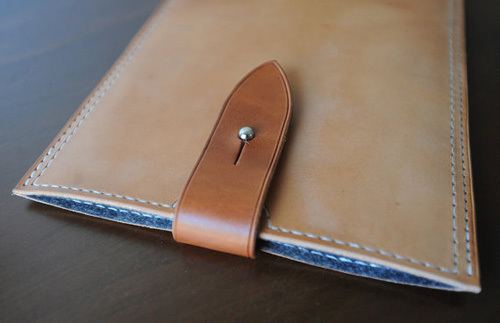 As PJ has been working with leather for over 15 years, it's no surprise to see he's been tinkering with some stylish iPad cases. 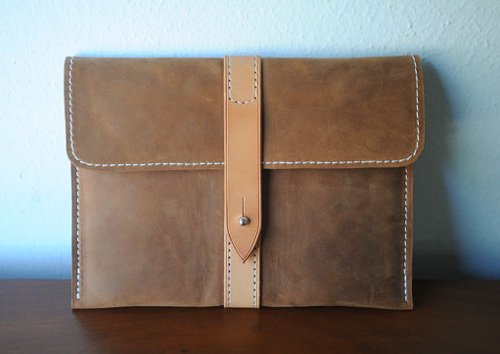 Made from brown cowhide chap leather and lined with charcoal gray EcoFelt, these beautifully crafted cases are handsome and yummy all at the same time. PJ is happy to custom make cases for any tech device you own. Just send him an email via his Etsy shop.